Count Tolstoy’s masterwork The Death of Ivan Ilyich is the seminal work on the subject of death and dying and very likely will remain so forever. A great number of distressing thoughts about death and about Ivan Ilyich’s personality and character race through the mind on reading that novella, and on contemplating it anew many years after first exposure. Chief among these contemplations are sheer astonishment at Ivan Ilyich’s apparent utter lack of connection to his own life, and his approaching death, except upon the most superficial level, the distance he places between himself and his family, and they from him, the burden he becomes to them as his illness progresses and the coldness and insularity of the whole process of death. There is in this tale no warmth whatsoever. The coldness that always accompanies death long precedes death in the case of Ivan Ilyich because he lives in an icy world in which only the material concerns of the day-to-day matter to him or to any of his intimates. It is not over-reaching to suggest that Ivan Ilyich’s death occurred long before the cancer took him. 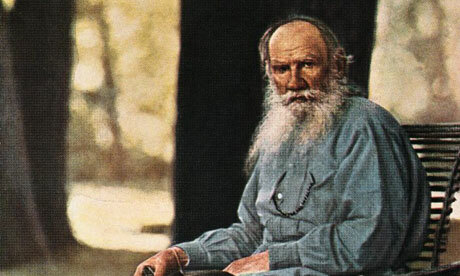 He was a man constitutionally incapable of love and Count Tolstoy presents him to the reader as a caution. The life altogether unexamined, the life without love, is a life that never really took place at all. Our having met a remarkable man occasions this flight of thought on a recent visit to the Neue Wicker Kliniken in Bad Nauheim, Germany. There are a number of special things about Wicker Clinic that are recounted in the article. Yet, what struck us as most compelling was the insistence of the founder, Werner Wilhelm Wicker, to speak of love as a primary ingredient in his clinic’s offerings to the sick. To speak of love in a hospital tries the credulity of an American. Yet, Herr Wicker has been phenomenally successful as the operator of various types of clinics and spas in Germany for nearly four decades. He is a man who deserves proper attention when he speaks of the techniques he employs and recommends to the medical fraternity. If Herr Wicker were simply a successful businessman who made his substantial living working with the seriously ill, he would not be all that compelling a man to write about. Herr Wicker is much more than a sharp businessman. As with Count Tolstoy himself, Herr Wicker is very much of a mystic. He believes in the soul as an integral part of the body. Herr Wicker is surrounded in his office by statuettes of Dhanvantari, who in India serves as the God Protector of Ayurveda, a philosophy that in turn is a governing principle of Herr Wicker’s Neue Wicker Kliniken in Bad Nauheim. In Indian lore, Dhanvantari brought the science of medicine to the earth. In whatever manner medicine made its way to earth, Americans largely missed out on the mystical element Herr Wicker so stresses. This strikes the observer on first blush as unfortunate because to have missed out on this element of medicine, and indeed of life itself, leaves Americans at a decided disadvantage when dealing with illness and death. As with Ivan Ilyich, Americans face the lamentable situation of approaching such inevitable and disconcerting facts as illness and death with little more than the physical elements to consider for solace and comfort. Indian Gods and their contributions to the medical arts are surely interesting, but what truly rivets the American listener is to hear Herr Wicker speak of love. We sat on chair’s end. What vague role could love play in treating cancer, modern man’s deadly, intractable and so inscrutable enemy? Herr Wicker considers the Neue Wicker Kliniken to be the flagship of his extensive holdings in spa clinics and treatment centers in Germany. Herr Wicker also considers that the new clinic represents the future of cancer treatment and likewise the treatment of other very serious maladies. What sets the new clinic apart from present day medical practice is that there is a conscious recognition on the part of Herr Wicker and all his staff that love is a necessary component part of future medical practice. Well then, there it is. Modern medical practice does indeed to our mind run a risk when it views disease as something divorced from the aspects of man’s life that do not specifically have to do solely with the physical. We have said this before. We have said that as this Foundation continues its fascinating exploration of the alternative and complementary medical procedures that, in the better cases, serve as models of the evolution and progression in cancer treatment, we are mindful that both the tangible aspects and the intangible aspects of our existence ought appropriately guide and govern the medical arts. While the rules of sound scientific inquiry evident in formal medical training are necessary and to a degree absolute, there is a most necessary need for consideration of the intangible aspects. Our approach considers man as far more than simply the sum of his physical properties. He is also a mind, a spirit and a soul. Count Tolstoy puts his despairing character Ivan Ilyich on his deathbed, thinking this: None love me and I love none, I do not even love myself. Such a character is not likely to get better. He is not likely to even desire to get better. It is pointless. And, at day’s end, Count Tolstoy’s message to us is just that: the unexamined life, the life devoid of love, is pointless. We’ve no idea if Herr Wicker is aware that his philosophical antecedents include not only Indian Gods who brought medicine to the earth but also Count Tolstoy and his pitiful character Ivan Ilyich, but we think that love, as a handmaiden of medical practice ought not be dismissed as having been found a failure until it has been formally tried. Herr Wicker is to be commended for formally introducing love into the confines of a hospital. We find it laudable of him to have done so. We were blissfully fascinated on first finding love being actively practiced in a hospital and we’d like to see a lot more of that. Love does not cure any disease of the body, but love’s beneficial effects upon the mind, soul and spirit are potent medicine in anyone’s textbook.